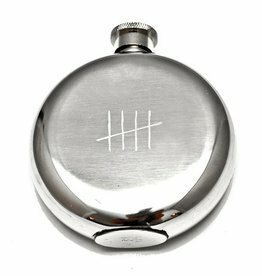 Espadin Petit Hip Flask. 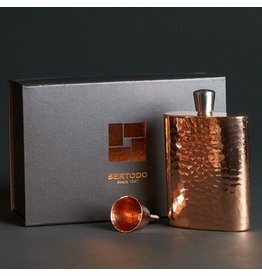 Heavy gauge, hand-crafted, hammered copper. Tin lined interior for stable, nonreactive liquor storage. 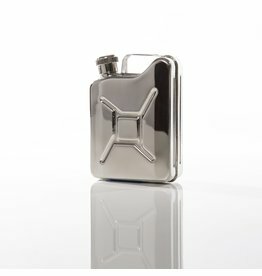 Espadin Boot Flask. 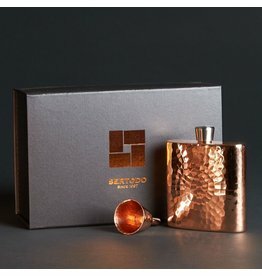 Heavy gauge, hand-crafted, hammered copper. Tin lined interior for stable, nonreactive liquor storage. 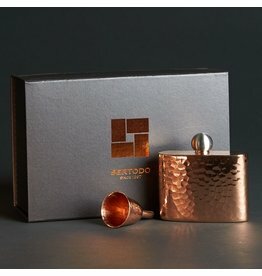 Espadin Square Flask. 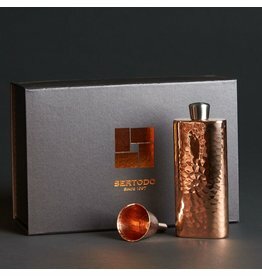 Heavy gauge, hand-crafted, hammered copper. Tin lined interior for stable, nonreactive liquor storage. 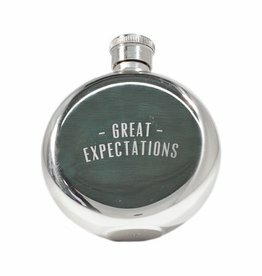 Espadin Grand Daddy Flask, 5x4 inches, 12 ounces. Tin lined interior for stable, nonreactive liquor storage. 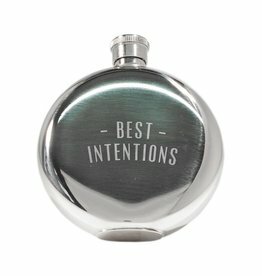 Espadin Luna Flask. 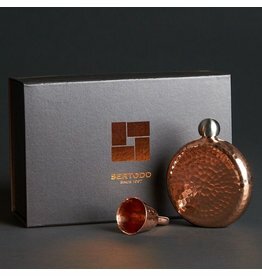 Heavy gauge, hand-crafted, hammered copper. Tin lined interior for stable, nonreactive liquor storage.